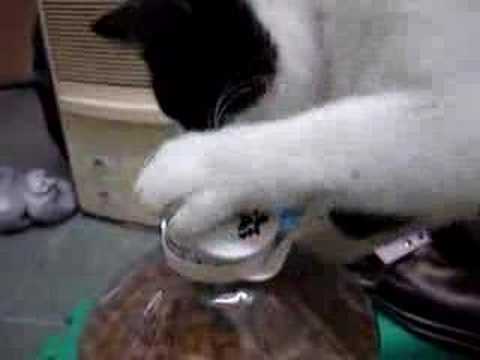 There are 10 cat videos tagged with food. 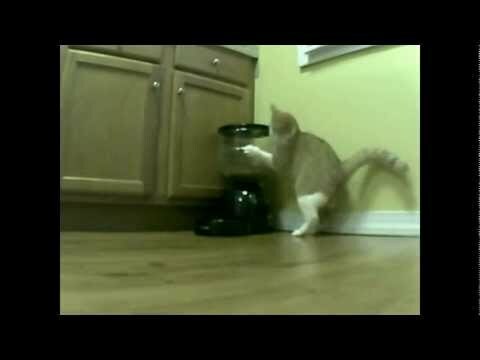 A kitten choir commences when the food comes out. 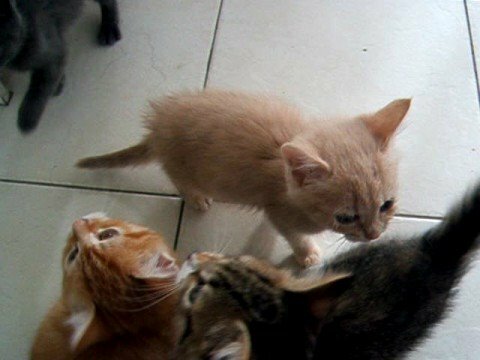 The kitten foster parent gets climbed and followed around until the tiny kittens get food. 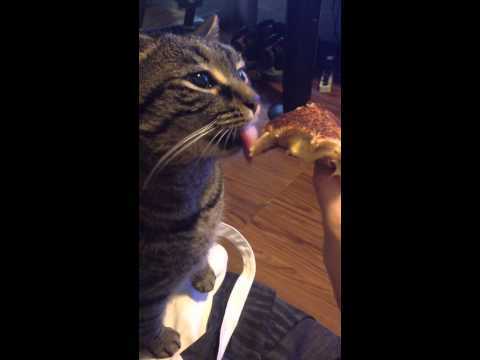 This silly little cat is simply perplexed by their human's grilled cheese sandwich! 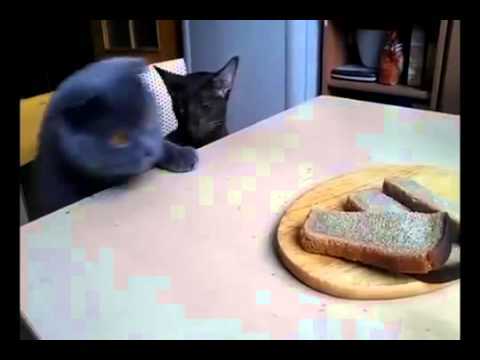 It's hard to tell if this kitten wants the sandwich to be a toy or food, but it sure is funny to watch while you figure it out. 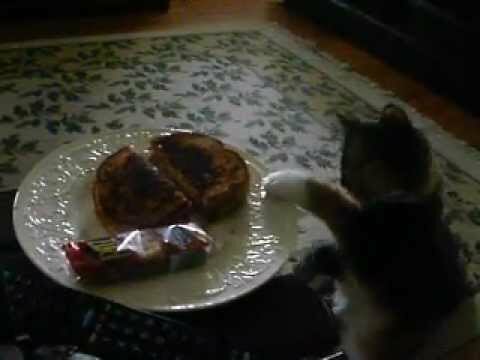 I think we can all relate to the idea of wanting to creepily watch and play with the food we know we aren’t supposed to eat, this little kitty is just brave enough to let it be shown on the Internet! 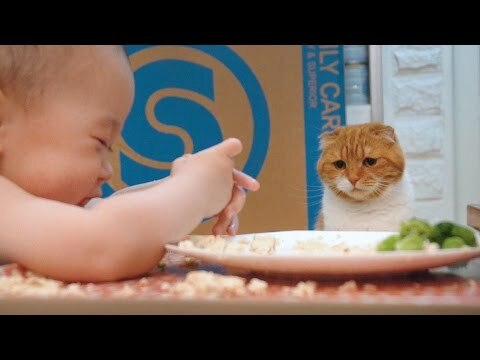 Noel the cat watches over his family's baby while he eats a plate of broccoli and rice. 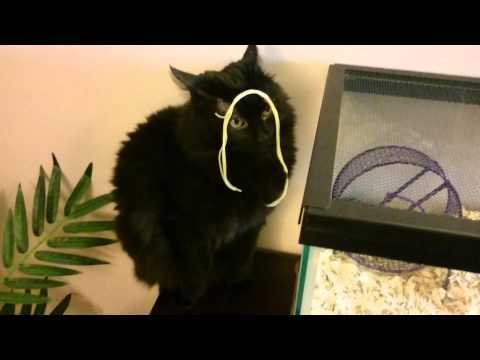 He looks so sad every time the baby drops food and the food ends up on the tray instead of the floor.